Many of the items we use every day, like zippers and escalators, were once brand names. Even heroin, which no one should use any day, was a brand name. Here are some trademarked names that are often used as generic terms today. 1. 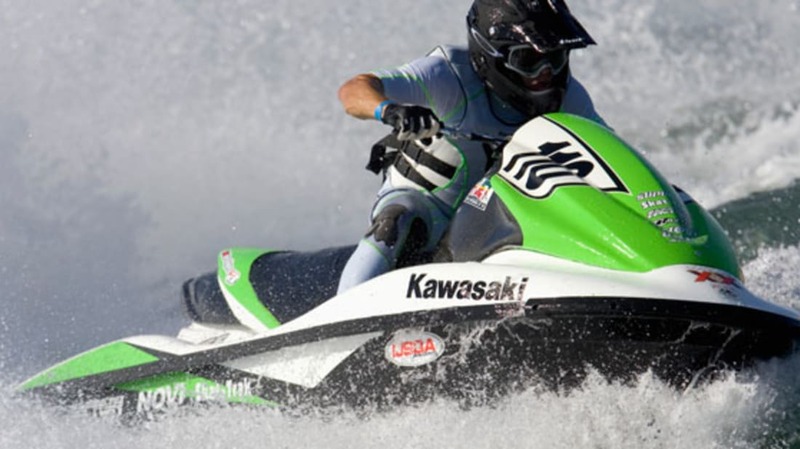 You might think you’re riding around on a Jet Ski, but if it’s not made by Kawasaki Heavy Industries, it’s just a personal watercraft. 2. Bubble Wrap is probably the greatest contribution made to our society by Sealed Air Corporation, which they rightly trademarked. 4. Jacuzzi is not only a brand of hot tubs and bathtubs; they also make mattresses and toilets. 5. The Crockpot, a brand name for the slow cooker, was originally developed as a beanery appliance. 6. Fluffernutter is a registered trademark of the makers of Marshmallow Fluff, Durkee-Mower, Inc.
7, 8 & 9. Frisbee is currently owned by WHAM-O, but a legal battle to make this word and several others generic is underway. In 2010, Manley Toys Ltd. challenged WHAM-O, arguing that the terms Frisbee, Hula Hoop and Slip’n Slide have already become generic in the public lexicon. Personally, I think Ultimate Flying Disc sounds cooler than Ultimate Frisbee anyway. 10. Chapstick is a brand name of lip balm produced by Pfizer. In the event that you find yourself enjoying this product too much, websites dedicated to helping Chapstick addicts are available. 11. The perfect time to remind a friend or family member that Kleenex is a brand name for a tissue is right when they are desperately begging you to hand them one. 12. Ping-Pong was trademarked in 1901 as a brand of table tennis products named for the sound the ball makes when it hits the table. 14. When Q-tips were originally released, they were called Baby Gays. The name was changed to Q-tips—the “Q” standing for quality—in 1926. Although they have changed hands several times since then, Unilever owns the brand today. 15. Two hockey-player brothers designed Rollerblade inline skates from a pair of old roller skates in 1979. They were the only brand of inline skates until the mid-eighties, when several other companies emerged. 16. According to legend, Scotch tape earned its name when a frustrated customer told a 3M scientist to “take it back to your Scotch bosses and tell them to put more adhesive on it.” Today, Scotch "Magic Tape" is only manufactured in one place in the world: Hutchinson, Minn.
17. The permanent marker was invented in 1956, but the Sharpie wasn’t introduced until 1964. Today, the products are almost synonymous with one another. 18. In 1899, Pearle Wait sold his recipe for Jell-O to Orator Woodward for $450. In 1902, sales for the product were around $250,000. Today, the gelatin dessert is owned by Kraft. 19. Tupperware is a brand that got its name from its creator, Earle Silas Tupper. 20. George de Mastreal invented Velcro when he discovered that burrs stuck to matted dog fur. Today, it is the world’s most prominent brand of hook and loop fasteners. 21. Weed Eater is owned by Husqvarna Outdoor Products. 22. Don’t ask BIC what’s in their line of correction fluid. The exact ingredients of Wite-out are confidential. 23. Johnson & Johnson manufactured gauze and adhesive tape separately until Earle Dickinson had the idea to combine them to create Band-Aids for his accident-prone wife. 24. The Zamboni is an ice resurfacer named after its inventor, Frank Zamboni. 25. TASER is a trademark of TASER International, and shouldn’t technically be used as a verb. To be fair, “Don’t hit me with that electroshock weapon, bro!” is probably hard to shout under duress. Bonus fact: TASER is an acronym. It stands for "Thomas A. Swift's Electric Rifle." Update: With your help, we found 10 more!